Gfeller Casemaker is an artisan maker of fine leather goods based in Meridian, Idaho. Established in 1946, Gfeller originally was founded to provide highly durable leather cases and tool holders for the geoscience community (click here for an article on our recent visit to the Gfeller shop). Today, Gfeller continues to make goods for this community, but has expanded into goods of equally functional, but more universal applications, like their moleskine notebook covers. 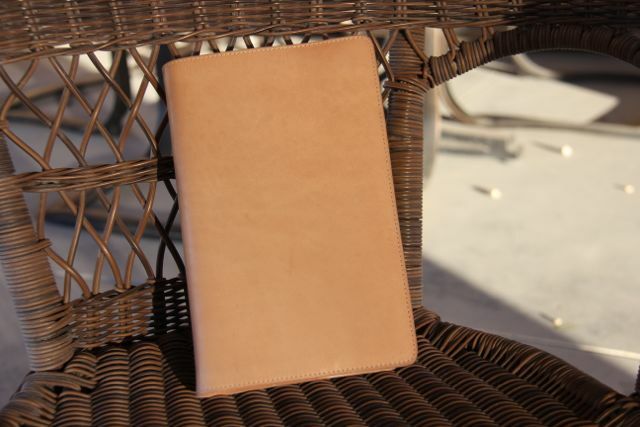 I had the opportunity of reviewing their 5” by 8 ¼” notebook cover. Gfeller’s notebook cover is made of 2 – 3 ounce, vegetable tanned, fine calfskin leather. This is the same type of leather you’ll find on a pair of fine, handmade shoes like Allen Edmond’s The Strand. This leather is known for it’s tighter grain pattern, it’s high ability to resist minor scratches, it’s lightweight but firm feel, and it’s noticeable shine. The feel of this leather was the first thing that really caught my attention. It is a leather than is more fine than what you will see on high quality bags and apparel. It is very thin, but there is a certain heft to it that is pleasurable. The color of their notebook covers are a natural tan, the type that darkens beautifully with use and exposure. Gfeller has certainly made their notebook covers with loads of style. Though the notebook cover appears to be precision made by a machine, it is in fact made by hand. It has clean lines and laser straight stitching. The thread that Gfeller uses is a bonded polyester in Pebble Beige color, which is manufactured by Coats. The color is a nice complement to the natural tan of the leather, and the polyester thread means ultra durable strength and uv resistance for long life. 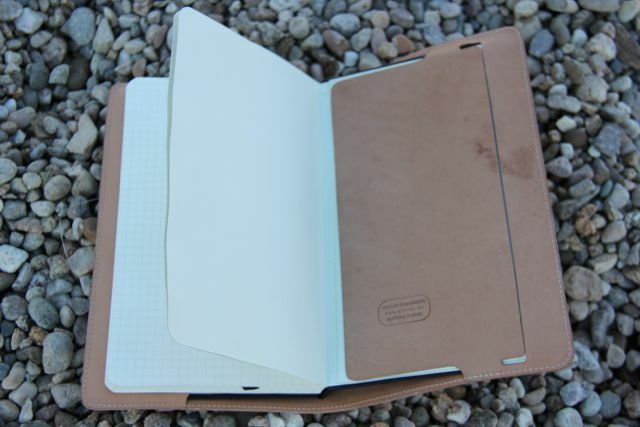 Gfeller’s notebook cover does precisely what it is supposed to, cover your notebook in beautiful leather. Gfeller added a little more function than a simple notebook sheath though and cut a hammerhead slit on the back cover, to allow room for the elastic straps common on moleskine and similar covers to come out. This avoids an unsightly bump, but also allows you to use the band to keep your place in your notebook. It is a smart and functional design. If you are looking for a notebook cover with an extra measure of polish and class, look no further than Gfeller Casemakers notebook covers. They have covers in a variety of sizes, so chances are, they will have one that fits your need. The price point of $73.50 is right for a cover of this quality and it will undoubtedly last a lifetime. 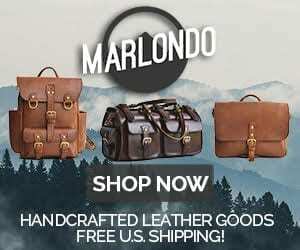 4 Comments on "Gfeller Casemakers Notebook Cover Review – $73.50"